Raising our handcrafted wines along with our two daughters. It's about bringing delicate things into the world with work-worn hands. 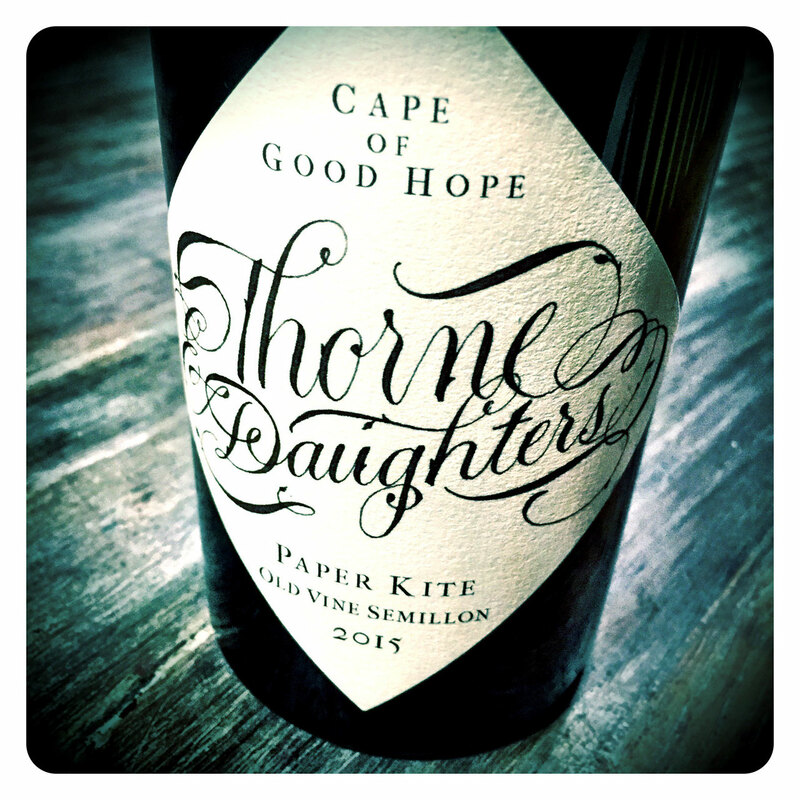 Thorne and Daughters Wines was started in 2012 by John and Tasha Seccombe to produce authentic wines in the beautiful Western Cape where we have made our home. It has been a long journey that has taken us around the world and brought us back here to where we first met. We are in love with the Cape, and we want to taste this air and this sunshine in our wines. 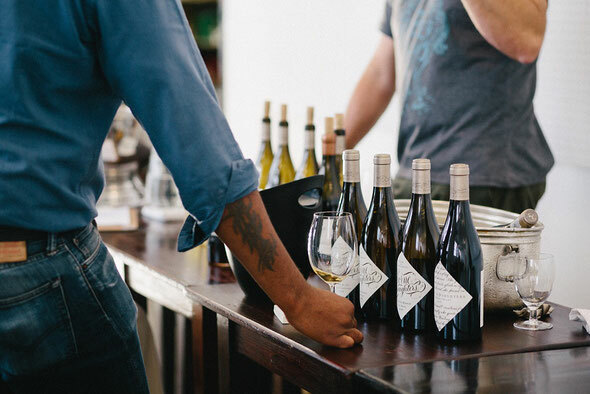 To produce our wines we’ve drawn on the great history of wine growing here in the Cape, putting together old vineyard parcels with new grape varieties, and making wines with old school simplicity and a modern ‘edge’. Our approach to wine making is simple, honest and gentle, and we are looking to make wines that tell a story, not wines that shout and bang a drum. We spend a lot of time cooking and talking about wine, food, photography, building, and gardening. Our home and family are so important to us and they are constant sources of energy and inspiration that we take into the world. We are ridiculously passionate about what we do, and are so grateful to be able to make these wines and share our ideas. Our Rocking Horse Cape White Blend takes its name from a wooden rocking horse that we made for our eldest daughter out of old oak barrel staves. There’s a lot going on aromatically in this wine. The initial orange blossom, peach and burnt sugar aromas give way to more exotic wax, rosemary, caraway and sea-shore notes. It is layered and complex, and evolves beautifully in the glass. The 2016 Wanderer’s Heart is our interpretation of a Cape Red Blend. The wine’s aromas include tea leaf, dried cranberry, exotic woods, dried herbs and citrus peel, and a whiff of the apothecary’s chest. The wine is light and keenly balanced, with a dusting of talc-like tanins. The colour of the wine is unusual, having taken some bright copper and bronze tones from its time on skins. The nose is striking, with a briney, oyster-bed note coming out under subtle red fruit, licorice and white pepper notes. The interplay between savoury and sweet is a key point of interest in Tin Soldier, and makes for a subtle and engaging wine. The palate is finely structured, with fresh acidity and full flavours of strawberry leaf, sweet herbs and pink peppercorn. It is dry and delicate, while at the same time showing a core of richness and depth. 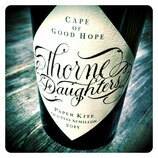 Paper Kite is our expression of old vine South African Semillon. In 2016 we were fortunate to work with two vineyards in Swartland and Franschhoek that are 52 and 85 years old respectively. These old clones of Semillon (including a tiny amount of Semillon gris dotted about the vineyards) deliver an expression of Semillon that is very much at odds with the modern, aromatic clones. 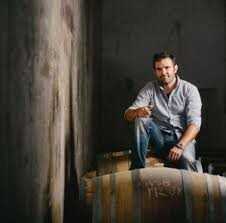 The wines they produce are hauntingly beautiful and difficult to define. The wine is rich, textured and complex, shows wonderful spice, floral and savoury tones, waxy lemon rind and vinous herbal / green fruit character of great length.